The American Booksellers Foundation for Free Expression (ABFFE), the bookseller’s voice in the fight against censorship, announced today that the Annual Children’s Book Art Auction and Reception at BookExpo America will be hosted by bestselling authors Jack Gantos, a Newbery Medal winner, and Lauren Myracle, whose books top the list of the country’s most challenged titles. The auction will be held on May 29 from 5:30 to 7:30 p.m. in the River Pavilion of the Jacob Javits Center. The auction has been a highlight of children’s programming at BookExpo America for the last 19 years, offering a unique opportunity to buy original works by award-winning artists and illustrators. This highly anticipated and fun event is the only annual occasion where the entire children’s book industry is in the same room, including booksellers, publishers, authors, artists, illustrators and other industry professionals. Proceeds support ABFFE’s defense of the free speech rights of young readers. ABFFE is a co-founder of the Kids’ Right to Read Project, which supports students, parents, teachers and librarians fighting book challenges around the country. ABFFE is also a principal sponsor of Banned Books Week, the only national celebration of the freedom to read. "I’m proud to lend my voice to this auction to raise money to help not just young readers, but authors as well,” Gantos said. 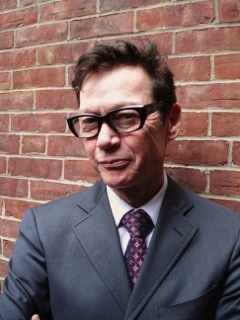 "I'm thrilled to be co-hosting the 2013 Children’ Book Art Silent Auction with the inimitable Jack Gantos,” Myracle said. “ABFFE is a passionate advocate for freedom of speech, and it's an honor to help raise funds to support these booksellers in their fight against censorship. Books matter. Kids matter. (And, bonus, Jack is one cool dude!)". Gantos and Myracle will lead a session of live bidding during the mostly silent auction. In addition to the remarkable art from new books, this year’s auction will feature pieces created in honor of Maurice Sendak, who mentored and inspired so many artists and fought vigorously against efforts to censor In the Night Kitchen. Light refreshments, beer, wine and non-alcoholic drinks will be served. 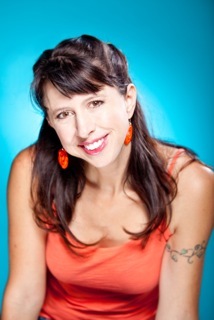 Tickets are $99 and may be purchased online, https://abffe.site-ym.com/events/register.asp?id=308496 There is no charge for bookseller members of the ABC Children’s Group at the American Booksellers Association. For the first time this year, people around the world will be able to participate in the excitement of the BEA auction by bidding in an online auction to be held the week before the Javits event. ABFFE has created an auction website, http://abffesilentauction.wordpress.com/. Details of the coming events, including a preview of the art in both auctions, will be posted there.